Yes, I know Halloween was just yesterday but Elizabeth and I have more holiday projects, tutorials, activities, and announcements planned than there are days to share them on so we need to get started. First in line is this Christmas Tree skirt that I shared over the summer over at The Moda Bake Shop. 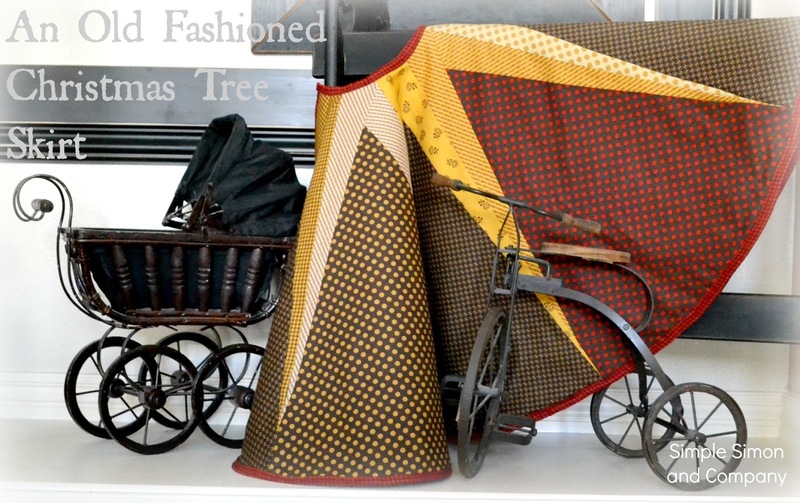 When it comes to Christmas I’m always looking to the past…I love anything traditional, vintage, and old fashioned. So when I saw the Historical Blenders line by Howard Marcus I knew I would have to use it for a Christmas project and a Christmas Tree Skirt seemed to fit the bill. The first thing that you will need to do make this Christmas Tree Skirt is to print out the pattern pieces. You can download them here: An Old Fashioned Christmas Tree Skirt Pattern. 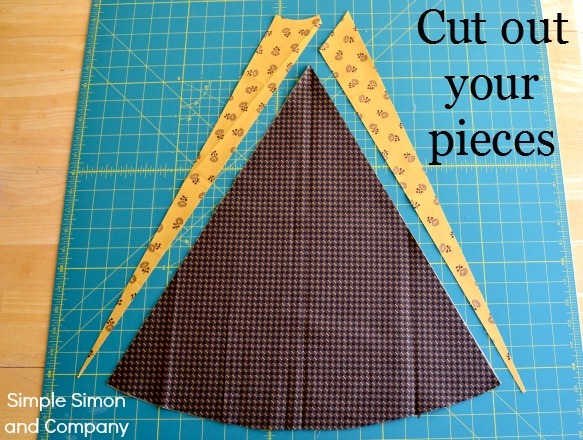 Once you have them cut out and ready to go it’s time to…..
You will need to cut out 8 of each piece. 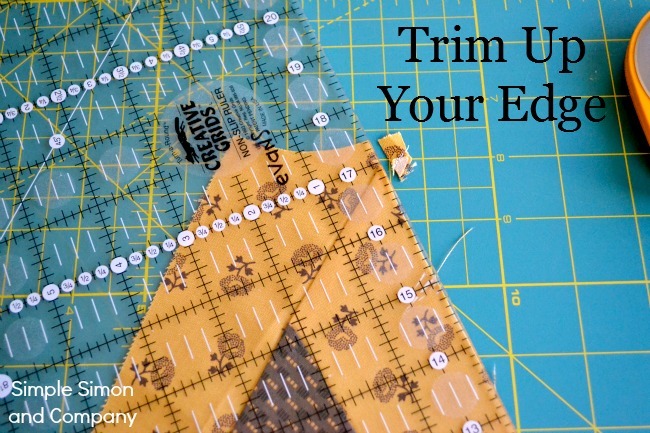 I do this by laying my ruler flush with the edge of my large triangle and cutting off small excess that you will have at the top. Now it’s time to sew piece #1 to pieces #2 and #3 that you just stitched together. 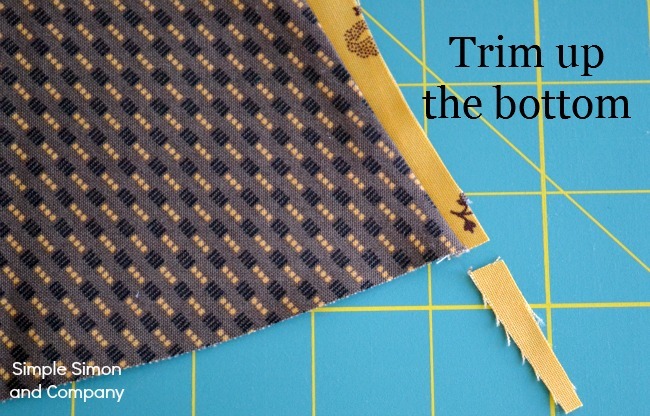 After they are sewn together you will have a little piece at the top that needs to be trimmed so…. 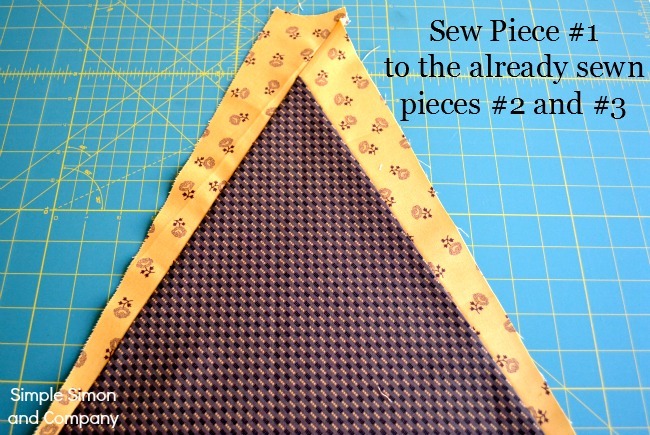 Now repeat that process with the other 7 sets of pattern pieces. Do this with rights sides together. When you have all 8 pieces sewn together stop! Do not close the circle! 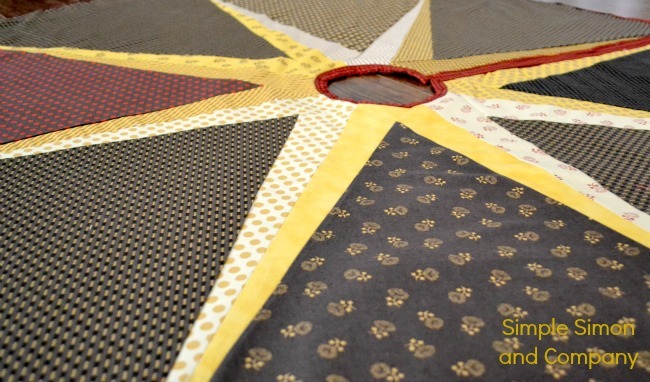 (Meaning do not sew piece 1 to piece 8 and you go around the Christmas Tree Skirt.) You will need an opening to wrap your skirt around the base of your tree. All you have let to do now is to back and bind your skirt in which ever method you prefer. One simple, old fashioned Christmas Tree Skirt. 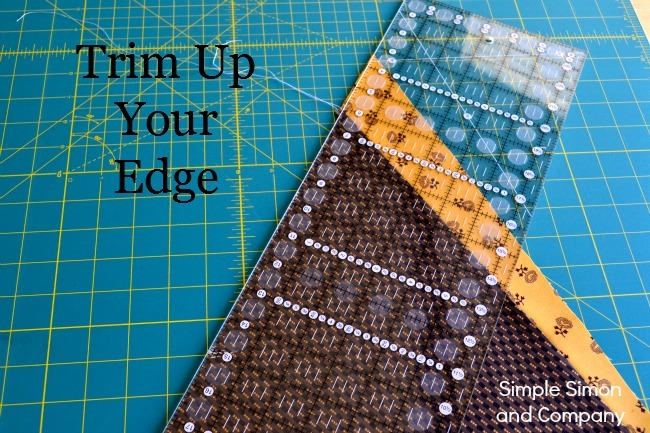 If I decide to buy bias tape (rather than make it) about how much will I need? What are the dimensions (approx diameter)? The pattern pieces look really small! I agree with your observation, Anna. Liz, I’ve got the pieces cut, but nothing lines up the way they do in your pictures. The larger pieces look MUCH more narrow than the ones you’re showing above. Is the PDF not at 100%? I wonder if they’re printing too small…? any ideas? AH! I see what I missed! The center larger piece is DOUBLE. There is a fold indicated, which makes it double wide. Then you get the fatter piece of fabric. 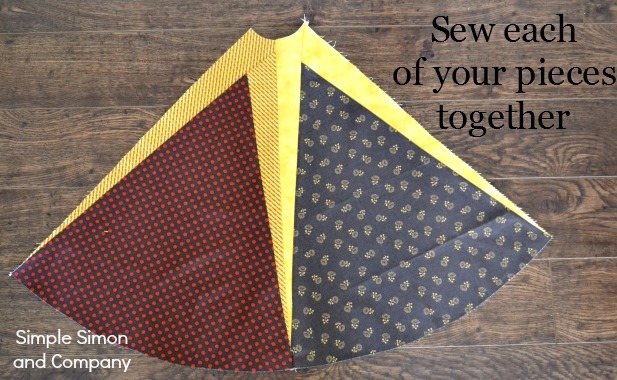 Which way do you put the pattern on the fabric?